A Nile cruise on the award winning MS Amarco is sure to become an important memory. Launched in 2010, the MS Farah is a 5-star luxury cruise offering 60 deluxe cabins and 2 Royal Suites. Experience the Nile valley on board The Oberoi Philae Nile Cruise! 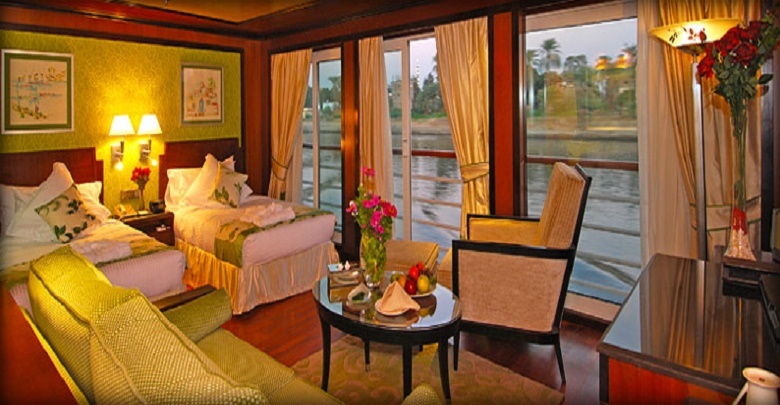 MS Nile Goddess offers an elegant 5-star deluxe Nile cruise. Sonesta Moon Goddess is a 5-star luxury river cruiser that offers unmatched luxury. A day tour to Kom Ombo Temple, Then onto Edfu Temple. A Nile Cruise touring holiday starting from Aswan to Luxor to discover the ancient temples and tombs. A day tour to Kom Ombo Temple, which stands on a high ground overlooking the Nile and Edfu Templ.